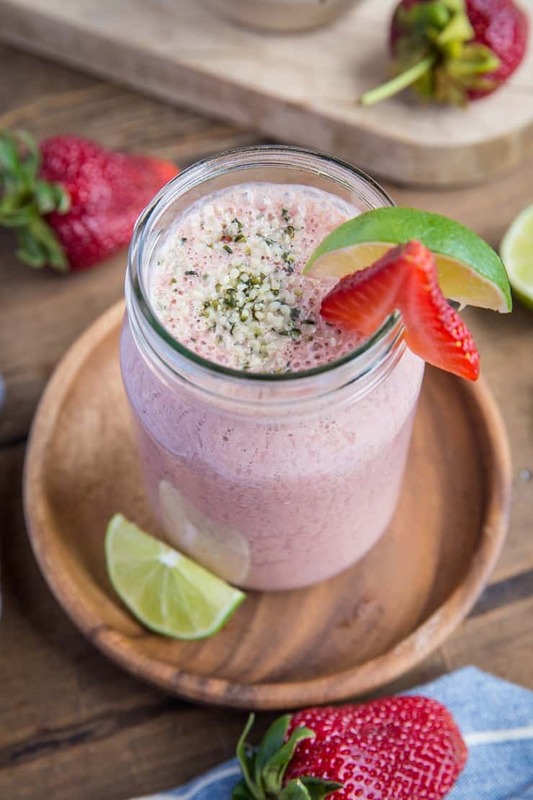 Creamy, dreamy, sweet strawberry protein smoothie made banana-free with cauliflower. Packed with protein, vitamins, and nutrients, this smoothie is a meal in a glass! Consuming enough protein throughout the day can be quite the struggle for some of us. I try not to derive all of my protein from animals, and therefore rely on plant-based products for some of my protein intake. 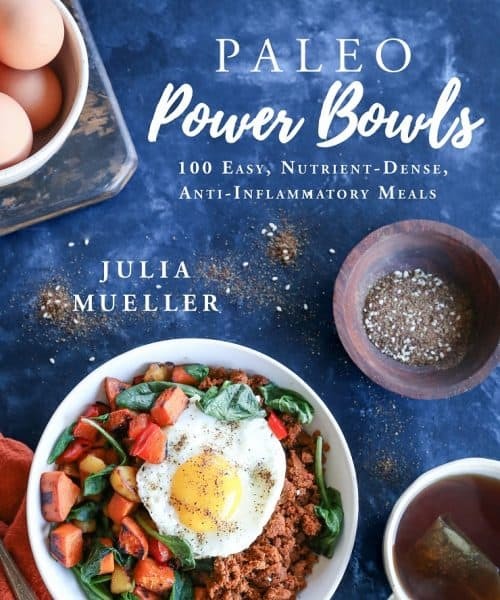 Sometimes I don’t have the desire to eat solid food for a couple of hours after working out, so during those times I make a protein-packed smoothie using almond butter, yogurt (I use coconut milk yogurt to keep it dairy-free), and hemp protein powder. I find smoothies like this just as tasty as they are healthful, so they’re a great go to for keeping in your brain archives for all those times you’re looking for a quick meal in a glass. 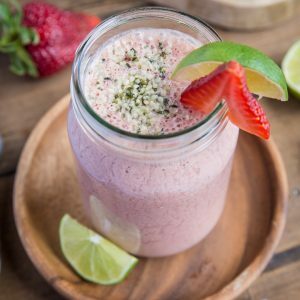 Made with steamed (and frozen) cauliflower, strawberries, almond milk, and dates, this smoothie is jam packed with strawberry flavor. Not to mention, it’s packed with plant-based protein. Let’s dissect this berry tasty smoothie. I used Harry & David’s strawberries for this smoothie. Their strawberries are so incredible, I almost have no words to describe them. They’re large, super sweet, juicy, and absolutely gorgeous. I love receiving Harry & David’s packages, as I’m always psyched knowing the contents are fresh and ready to be consumed right then and there. 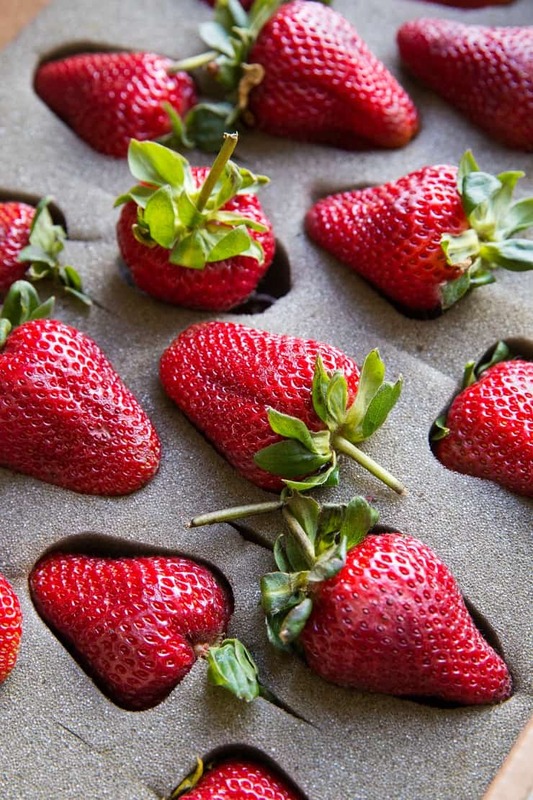 It definitely requires some self-control to not eat all the strawberries straight out of the box! Once the strawberries started becoming too ripe to eat on their own, I turned them into this delicious smoothie. You may remember Harry & David’s strawberries from the Balsamic Grilled Chicken with Strawberry Black Bean Salsa recipe I posted last year I still have fond memories of those bowls – they’re a truly perfect healthy meal option for this time of year. If the earlier mention of cauliflower cued the record scratch, no worries…I have words for you. Why add steamed cauliflower to a smoothie? I try to keep my smoothies low on the sugar end of the spectrum, and I find cauliflower lends volume and creaminess to a smoothie similar to bananas, only minus the sugar. 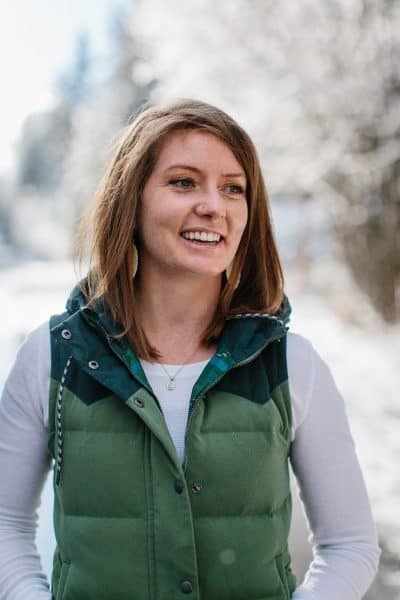 These days, I’m making all of my smoothies banana-free as I find they keep me feeling energized just the way they should, whereas banana-infused smoothies give me a sugar crash post-consumption. If you follow the same smoothie philosophy as I do and keep them super low in sugar, you can omit the dates. If you enjoy bananas in your smoothies, you can absolutely replace the cauliflower with one banana to make it a strawberry banana affair, and omit the dates (unless of course you want the added sweetness). Blueberries work well in place of strawberries, or you can mix and match both strawberries and blueberries. Toss in some fresh mango for a tropical affair. Be sure to check out Harry & David’s strawberries (hint: they’d be a delicious addition to your 4th of July celebration this year!) and I hope you love this protein smoothie. Add all ingredients to a blender and blend until completely smooth - Note: it may take a few rounds of blending to get the dates to blend. Taste smoothie for flavor and add more dates to taste. Pour into a glass and enjoy! Hey, do you have the nutrition info on this strawberry smoothie? Looks delicious but I am working on post menopause tummy and thighs. Thanks! I have a question: why do you recommend steaming the cauliflower first and then freezing it? I’ve bought frozen cauliflower for smoothies and just add it already frozen to the smoothie without steaming it first. Just curious! I totally agree with you on the protein consumption — I try to get plant-based protein anywhere I can get it! I love using protein almond milk in smoothies and overnight oats especially! 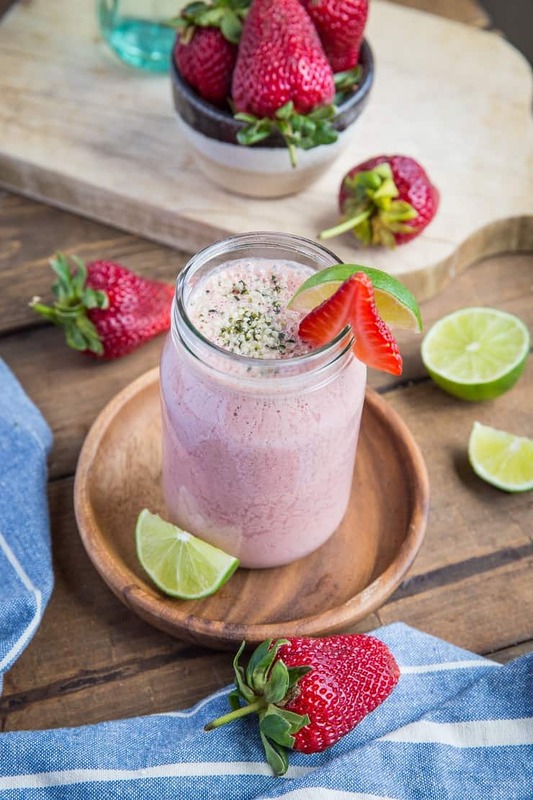 This smoothie looks like the perfect start to the day and those strawberries are gorgeous!